Get into the nitty-gritty and analyze every inch of space, does each serve a purpose? Ultimately a kitchen is supposed to provide you with an organized setup that accommodates your needs in a user-friendly space. You’ve always complained about the lack of room – heck, with the tall counter depth refrigerator there’s not even space for a small kitchen table. This is why you should look into ‘transforming furniture’ ideas. They’re clever yet simple innovations. They bring out the most of the space. For instance, you could have a table that lifts up from the wall. Or one that pulls out from a kitchen island. Problem solved. You now have a kitchen table ready to be used. This next suggestion may be a bit controversial, but you may consider removing your kitchen cabinets. They are responsible for an obtrusive bulk that can cause a feeling of tight confinement. You could start by simply taking off their doors and seeing how that feels. Take it a step further and replace them with shelves – you will open the space profoundly by doing so. This also allows the addition of decorative visual possibilities by displaying your favorite kitchen wares on them. 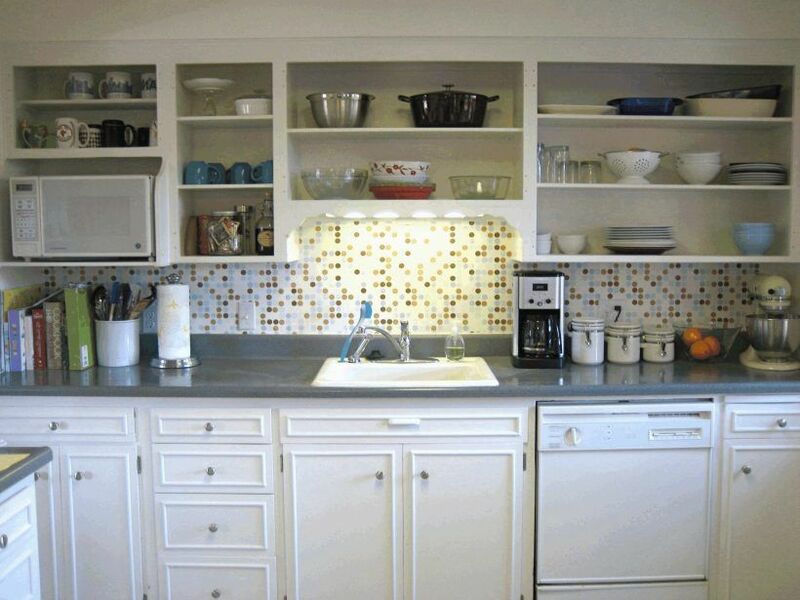 Using the same concept, how about a dish rack that creates storage space? Placed partially over a sink it can be the perfect spot to allow dishes to drip dry. You can’t go wrong with brightening the space. If it’s dark it’s hard to work in and is just plain uninviting. Put in task lighting over prep and cooking areas. Having a reflective material on the wall or backsplash – like shiny subway tile – will accentuate the overall lighting scheme making the space feel brighter as a whole. You’re probably short on counter space, too. Well, create some more. It’s really as easy as we make it sound, have a custom sink cover made that fits perfectly over your sink and blends level with the countertop. This will account for additional space that will certainly come in handy. And when you need the sink, simply remove the lid. 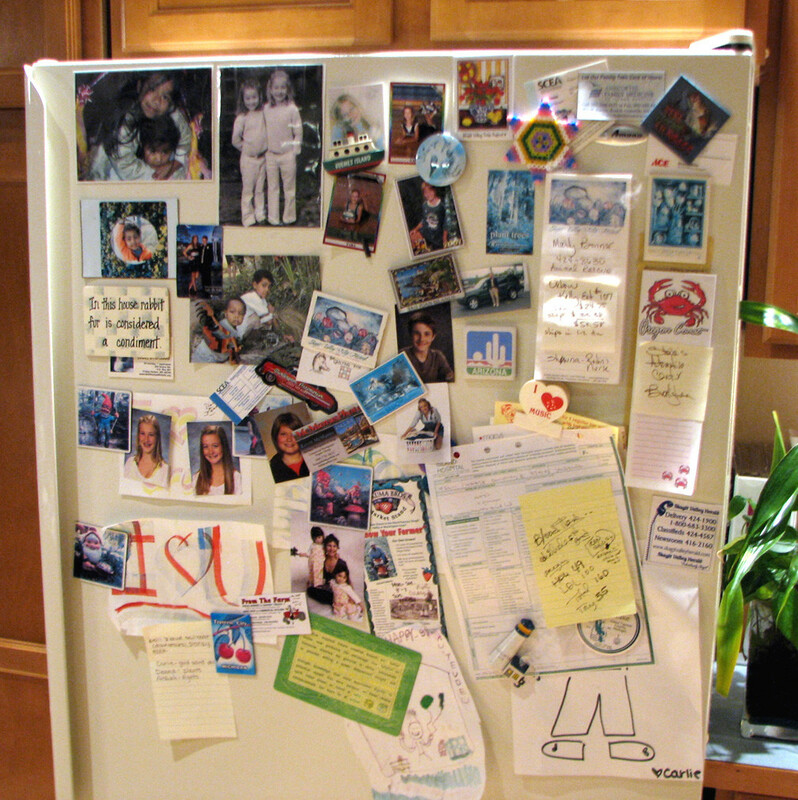 You’ve made an assessment of the kitchen, and you’re ready to put every inch of unused wall space to work. Be clever. For instance, a small area of free space might be used to host a series of hooks from which to hang any number of random items. Do the same in all unused spaces. Create cubby holes where possible or install two or three small corner shelves. 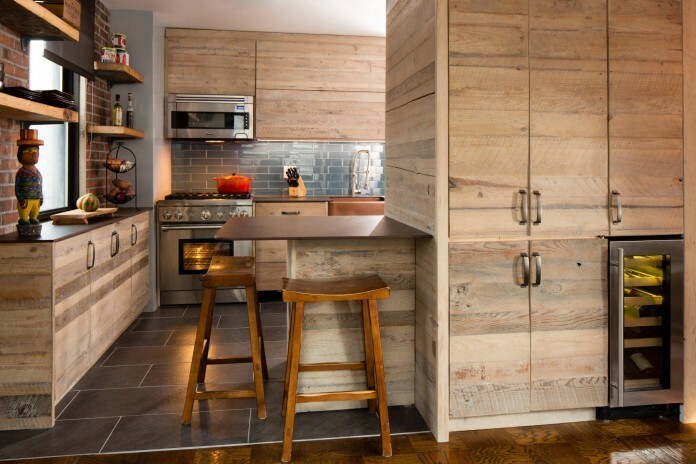 If you’re lucky enough to have a completely blank wall in the kitchen, work with it. Put in a stainless-steel rail system that includes hooks and shelves. It is a professional system used by chefs to keep cooking spaces well arranged. You can’t make the kitchen itself literally bigger, but if you have some extra space in the next room expand the kitchen into it. 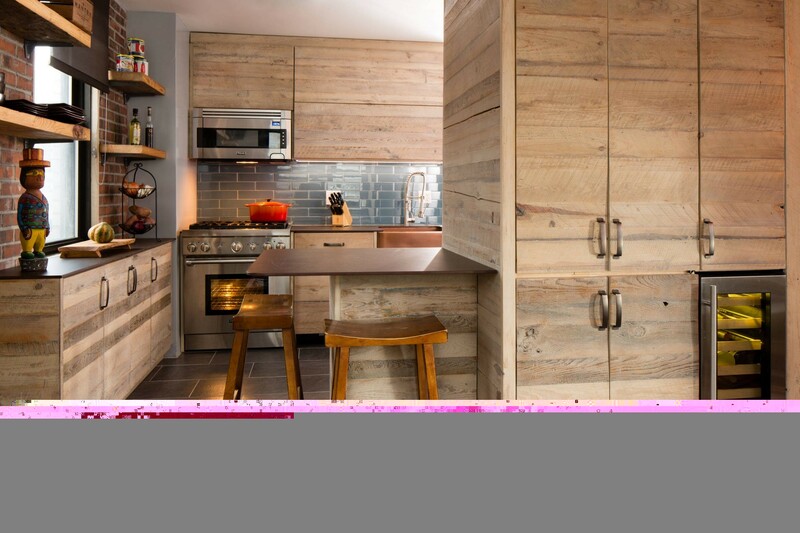 For instance, if the wall is free just on the other side of the kitchen, add cabinet and counter space to it. Now, it’s part of the kitchen. 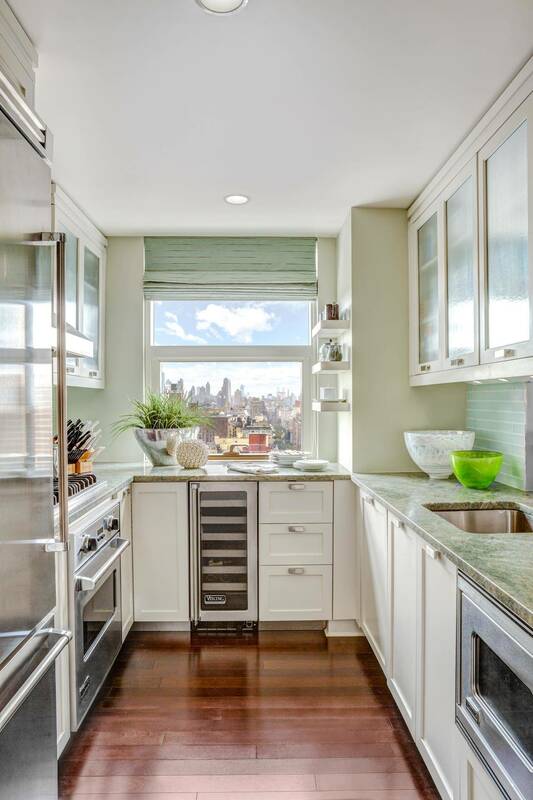 Are you also concerned that your kitchen isn’t very attractive and is just drab? There are also easy ways to remedy this type of dilemma. 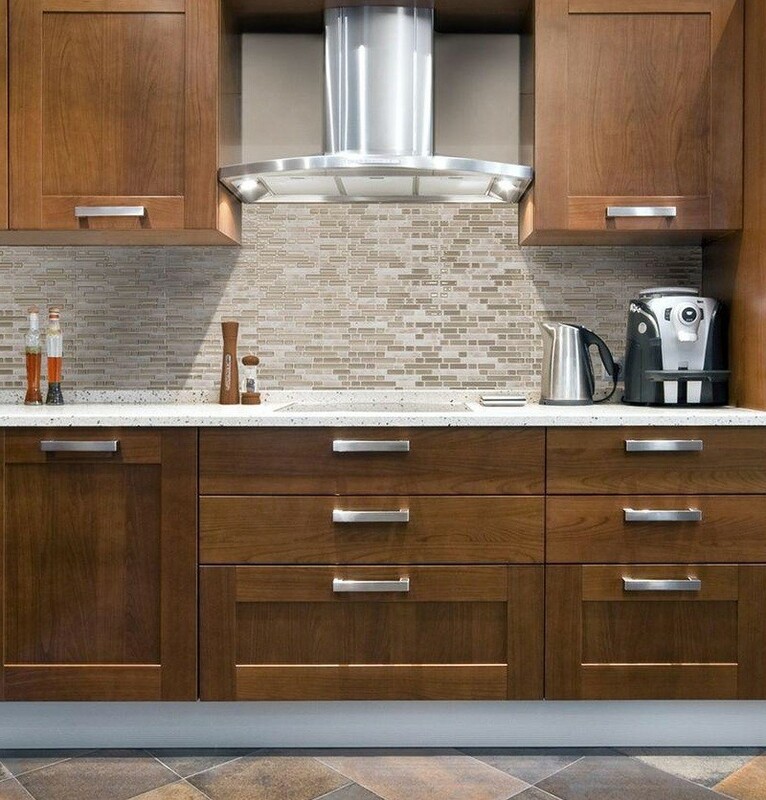 There is no need to invest in an expensive backsplash, seek out one that just looks expensive! They are available in peel and stick options (believe it or not) that look like the real deal. Obviously, they’re a fraction of the cost, easy to install, a breeze to clean and are available in humidity resisting variations. It’s a nice way to beautify the kitchen without sacrificing a lot of money. Finally, personalize your kitchen. Make it your own, a reflection of your family’s personality. You can have your favorite photos on the fridge, a uniquely unexpected rug on the floor, maybe even wireless speakers for setting the mood with your favorite music in the background. Whatever touches you contribute serve to make the kitchen a special reflection of you and yours.